Throughout your life, you’ve been sold the idea that to have a successful business you need to build high revenue. That business success is all about making money. This message has been delivered to you in college, at home and even on TV. The concept that your main goal and outcome of your business needs to be ensuring that year on year you grow your profits. This approach can make your business feel like a chore over time, you can lose focus, and you can feel trapped in your own creation. But there is another way, another set of goals, that you can work towards that have nothing to do with money. Those targets are all about helping others, addressing their problems and listening to their feedback. Businesses couldn't function without the basic underlying principle to fulfill people's needs. If you don’t have something to sell, then you clearly have nothing to build your businesses foundation on. There would be no reason to hire staff or to generate an income without helping people get what they want and need. It makes senses then, that a target you need to work towards is about identifying and fulfilling those needs. By removing the monetary aspect and focussing your goal on helping others, you will re-invigorate your passion for what your business can achieve. Longevity of a business comes from knowing the issues your customer is facing and helping them overcome them through the products and services you offer. It’s crucial when developing these products and services for your business and it’s clients, that you keep your clients problems in the front of your mind. So how do you do this without focusing just on revenue? 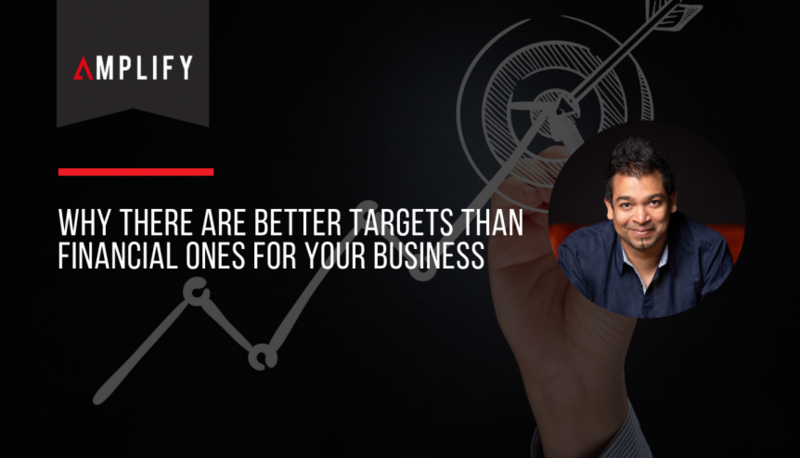 Creating targets that focus on solutions, rather than improving your own profits, will help. The more you build your business on problem solving, the more clients you will attract which will naturally have a flow on affect to your profits. This will ensure your business is around for the long-term. How do you know if you can help your clients or not? What are the questions you need to ask to know for sure? While challenging yourself is important in your own development, asking your clients directly is a worthwhile exercise for your businesses development. Asking them questions like: what could we have done better? How would you rate the experience of our business? What could we do to improve the service to you? The answers to these questions might surprise you, but more importantly, the answers will give you the clarity you need to understand what value you bring to your clients, and highlight areas of improvement that you may be blind to when only focusing on profits. Helping others is the key to business success and ensuring the passion you had before starting remains with you throughout your entrepreneurial journey. When you only focus on revenue and profits you fail to see the help you bring to your clients, which can ultimately undermine the financial goals you have set for yourself. Listen to my entire conversation with Mel Telecican here.